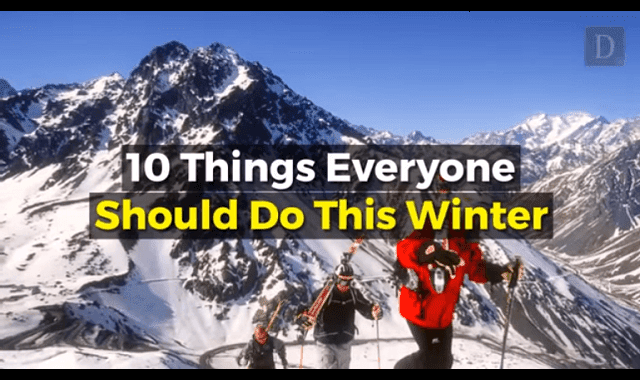 10 Things Everyone Should Do This Winter #Video ~ Visualistan '+g+"
Forget summer — there are plenty of reasons why winter is one of the best times of year. From celebrating New Year to simply enjoying the snow, winter beats summer in so many ways. If you love the outdoors, winter brings about tons of activities, such as skiing, ice skating, and sledding. If you're more indoor-oriented, winter is the perfect excuse to stay inside with a good book or movie. However you prefer to spend the season, these are 10 things you need to do this winter.